Do you feel drawn to visit Sedona? Yes, she has her own way of telling you that your time has come to receive her gifts. Some people have told me that they have seen the red rocks in a dream, some have been told by a psychic or guru to go to Sedona; others have felt her magnetic pull and intuitively know they have to come. Most of my clients are people that are in the midst of a big change in their lives and are confused about their next step. Maybe there is a physical ailment that needs to be healed. Some people are overwhelmed and burned out and need to come here to "load the batteries". 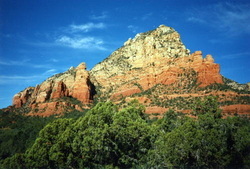 But whether you need to find clarity or receive emotional or physical healing, - Sedona is the place to be. Can you imagine how it feels to wake up and see these rock formations every morning from your bedroom window? I can feel the rush of energy that rolls through me just by looking at them and it kicks me wide awake in a moment. Sedona with her Vortex energies is a gift from Mother Earth to all her children walking upon her. It's the call of her Spirit you hear when the magnetics start to pull you here. Vortex Tours- Connect deeply with Mother Earth and your true inner self through the higher energy field of the Sedona vortexes. Feel the healing and heightened awareness that the land offers to you. 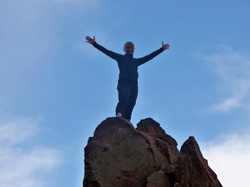 Sacred Sites Journey - We'll visit 3 of Sedona's Sacred sites for Ceremony and Meditation. Sacred Ceremonies- Full and New Moon, Solstice, Equinox and other Planetary Alignments, Mother & Daughter, Wise Woman Initiations and other Celebrations. Drumming, Chanting and Ritual. Medicine Wheels and Labyrinth Walks - walking meditations in the sacred circle. Learn how to tap into your deepest intuition.Empowering and healing. Soulful Hikes, River hikes and Meditationon the Land - journeys to secluded places, away from the crowd. Group Tours - Rent-a-Guide - Spiritual and Sight seeing tours. Tours start at $99. See detailed price list on our Services and Pricing page. 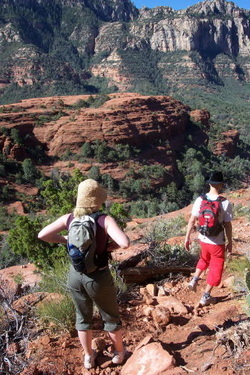 Are you ready for your Sedona adventure? If you would like to connect with me and know more about my offerings, then email me and I will call you back for a free consultation. Together we will set up the tour, that will serve you best at this time. If you are in Sedona please call me and we will schedule your tour at a time that fits you best. Also im-promptu tours. Many Blessings and wishes for a Miraculous 2011!